Q: If the apartment will be silent after installation of PVC windows? A: The sound of comfort for humans is 40-45 dB. PVC windows reduce noise up to 30 dB, which is comparable with a slight rustle of leaves . For example, the noise level on a busy motorway is 85 decibels, 50 meters close to it - 75 decibels. PVC windows reduce noise for 30 decibels as a result in your apartment will be supported level of sound comfort which is 40-45 decibels, this level of sound is compared with a noise of light wind rustling the leaves of the trees. Q: Is PVC releases harmful substances under the influence of sunlight? A: Modern technology makes PVC window environmentally safe. 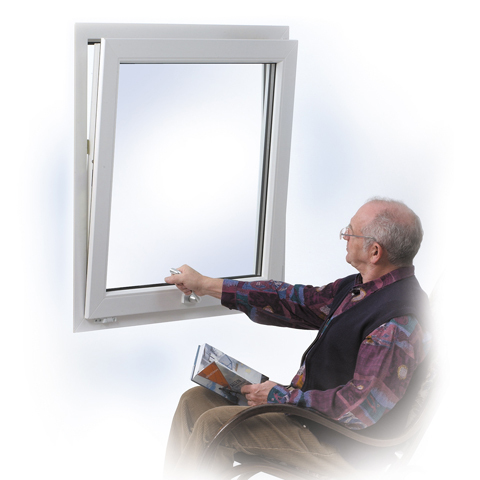 All materials for PVC windows should have the international health certificate . Q: Are PVC windows hermetic? A: PVC are hermetic. Sealing materials play an imporatnt role. It can blow out of the joint between the frame and the wall in case of bad installation but good company never allows it. Q: Is it true that PVC window does not pass cold or hot air? A: This is not quite true. Through the window always goes out more heat than through the wall. And to be precise the windows and doors give 80% of all heat loss. However, modern plastic windows twice more efficient in saving heat in winter and cool in summer than old wooden windows. In addition, PVC windows have a strong seal system . Therefore, to avoid condensation on windows and walls, airing is neccessary in case large temperature differences between inside and outside. Q: The house stands on a street with a huge car traffic so it is important for me to have insulation. The hopes oт the installation of plastic windows will be justified ? A: In your case it is reasonable to put double glazed windows with different thickness fo the glass as it gives an additional effect due to the partial elimination of resonance. You also need to remember that if you open the window , the entire insulation disappear. Q: Room with a mosquito net installed will be ventilated? A: The room will be ventilated but the air flow is not too strong. Fine-meshed structure of mosquito net protects against insects and slightly reduces the flow of air from the street.